Best Taxi Cab Service in Town! This was the most insane cab ride of my life. The driver brought up bizarre theories on chem trails, Obama was controlled by Satan, the Holocaust never happened and Jews were to blame for the troubles of the world. I plainly told him I thought he was nuts and threatened to pull the cab over and assault me. The man needs serious psychological help. Horrible experience with a driver of this taxi service. Not courteous at all. He proceeded to use several profanities when I explained to him company policy when it comes to accessing our Company gated facility. You would be better off using some other taxi company or mode of transportation to get to your destination. Awesome service. Picked us up from the LSU vs. Florida game when our 1st taxi driver wouldn't answer his phone. Professional, very clean, and quick. Bailed us out in a big way. Recommend this company anytime. Best Taxi ive ever been in! Taxi was cleaner than every Taxi I've been in and cheaper. He charged us half as much to get back than AAA charged us to get there! I highly recommend this taxi service! Great guy also! Sam is such a gentleman, nice, honest, and very helpful. He picked me up from the airport and took me a very long distance to Houma, La. He's truly a man of God. Great Conversation. Once we arrived, he took my heavy bags up to the 3rd floor and even knocked $30 off my fare. What an awesome young man. I will be using you again when I come back to visit my mother for Thanksgiving. Thank you Sir. No stars. Beware single women traveling with this guy! Absolute creep. Rude and really Leary. Horrible. Do not go into a cab with this man. It might not be the owner. Drives AB21396 at b rouge airport. Beware!! SAM is a total class act! I travel frequently on business and will only call one driver, SAM. Reliable as the sun coming up. I generally take early morning flights and it's no problem. Always there, in front of the house early! Car is clean and always a joy to share conversation with. He's the one to call around town or to the airport(MSY or BTR) Bank it! Geaux Tigers! The owner Sam is a really good dude. Always on time and he even helped me with some car trouble. My friend lost her phone last night and called the cab to see if she left it in the cab. He quickly replied no and hung up immediately when she asked if any cell phones were found. He then went out of his way to text my phone this "Don't call my service lying about your phone was in my cab. Don't you ever call this number again." Very unprofessional in my eyes. Fast service, clean cab, and a very personable driver. I used fighting tiger twice and it was great service, on time and very respectful. 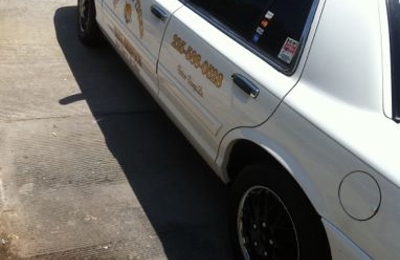 Highly recommend it, as its the best taxi service in Baton Rouge. Thank you for your customer service. I called Yellow cab first and after 45 minutes of waiting at the La Berge Casino, i called this service and y'all should up in 20 minutes. I'm new to this area and I will be calling y'all again thanks. Hey, this is Blake. I just wanted to personally thank you for the uplifting conversation we had. The ride was great and the car was very clean. I live in New York, so the cabs are always dirty and the drivers always seem to have an attitude. You are one of a kind. I'm going to recommend you to my colleagues when they come to Baton Rouge. It was nice to meet u and Thank you sir. Hey, this is Meredith, thank you for taking me to New Orleans Airport the other day. I've been busy but you left such a good impression on me I had to rate you. I was very impressed with your service and I must say you are one of a kind. You will be hearing from me soon, take care. Thank you for returning my wallet. I was panicking because I thought I would have to cancel all of my credit cards and go through the trouble of getting new identification. Your a life saver & a honest man. 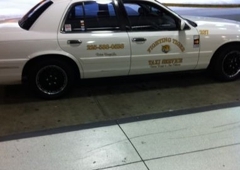 Thank you Sir, I appreciate you getting me to the airport on time, I call Yellow cab & they did not answer. I called several other companies and the wait time was too long. When I called you, you were there for me & I thank you. By the way very clean cab. When my wife asked the guy to please stop texted and driving, he stopped the car, got out, opened her door, grabbed her by the arm and forced her out of the car. Ridiculous.